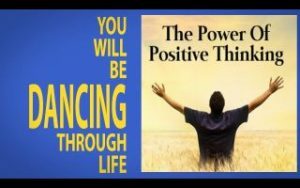 Positive thinking has immense healing power. You can easily apply this methodology to improve your heal yourself of any health problem. This is not merely an empty statement. There is enough scientific evidence to prove it. You can heal yourself and improve life with your positive and optimistic thoughts. All that it takes is directing your sub-conscious mind by right kind of thinking and positive intent. The power of thinking positive is immense and having a positive mental attitude helps not only prevention of sickness but also in recovering from it. Thus it is even more important to be positive and more optimistic whenever there is some nagging issue or health problem. It can work miracles and I have often seen magical recoveries. In my classes that last for three hours, I take you thru a journey of mind-body awareness to actually feel the difference by the end of just one session so you can realize how positive thinking helps in emerging from any situation and recover dramatically faster. It also energizes and helps in improving your life. There is a distinct connection on how you think – and how your body works. You can be trained into thinking positive, and these positive beliefs would definitely lead to a longer, healthier life. Focusing on positive aspects of life. Attracting positive situations in your life. Achievement of success in shortest time. Positive changes start taking shape from day one; when the subconscious mind aligns itself with a new belief system. It acts as a beacon that guides you to seek the best of opportunities and helps in achieving your goals. You can achieve total positive health and will see the results in a matter of days! For more FREE information and methodology write to me HERE.